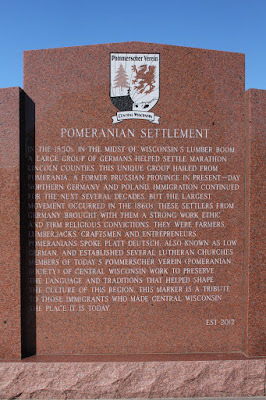 The 1850's, in the midst of Wisconsin's lumber boom, a large group of Germans helped settle Marathon [sic] Lincoln Counties. This unique group hailed from Pomerania, a former Prussian Province in present-day northern Germany and Poland. Immigration continued for the next several decades, but the largest movement occurred in the 1860s. These settlers from Germany brought with them a strong work ethic and firm religious convictions. 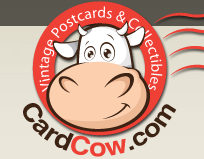 They were farmers, lumberjacks, craftsmen and entrepreneurs. Pomeranians spoke Platt Deutsch, also known as Low German, and established several Lutheran churches. 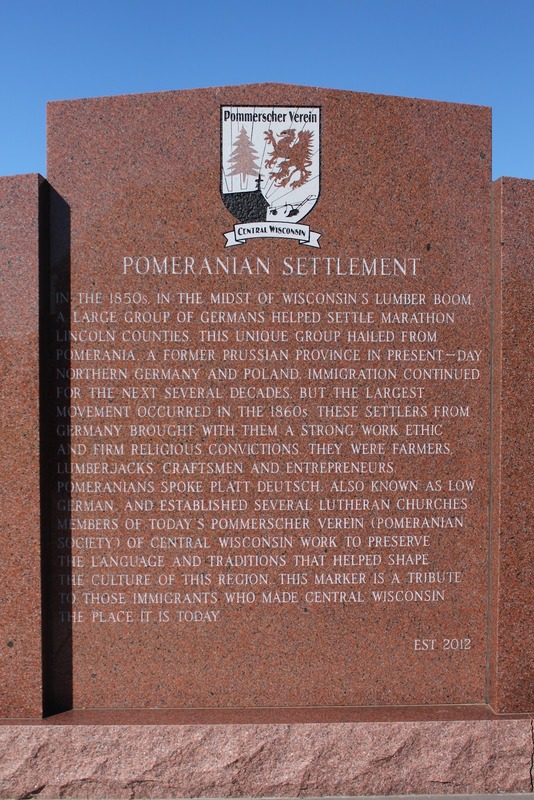 Members of today's Pommerscher Verein (Pomeranian Society) of Central Wisconsin work to preserve the language and traditions that helped shape the culture of this region. This marker is a tribute to those immigrants who made central Wisconsin the place it is today. 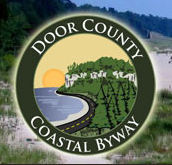 The marker is located on the grounds of the Town of Berlin Center on southbound Berlin Lane, south of its intersection with Naugart Drive, at 1248 Berlin Lane, Athens, Wisconsin 54411. The marker is located at the Town of Berlin Center in Athens, Wisconsin.